The recent hurricanes in St. Maarten left a path of destruction in their wake. From satellite images and photos, it’s easy to see how the surface of the islands was affected. However, there’s a lot of cleanups to be done under the sea, as well! Disaster relief divers have been putting their favorite pastime to use by cleaning up the ocean. The devastating hurricanes of 2017 have done more than their fair share of damage. While the above-water devastation is obvious, the underwater world has also been affected. Reefs have been piled with sand, marine life has been disturbed, and debris from the land has been flung into the sea. Not surprisingly, many boats were sunk during Hurricane Irma. Hurricane wrecks are all too common in the Caribbean. Although many of these wrecks become beautiful dive sites, too many sunken boats can leave damage and clutter in the underwater world. This overload of manmade debris needs to be cleaned out in order for marine ecosystems to return to normal after Hurricane Irma. The only people equipped to do this are divers. And many divers are doing their part to clear the oceans of junk. Post-hurricane beaches are not always safe. Disturbed rocks and other objects can pose a hazard to barefoot beach-goers and swimmers. Throughout the Caribbean, volunteers have helped to clear the beach so that it can be safe for locals and tourists alike. Of course, divers have a part in this! The deeper areas near the beaches must also be cleared so that nothing will be violently washed up by waves, and so that swimming can be free of hurricane-imposed hazards. Marine ecosystems near beaches can’t thrive with plastic, pieces of roofing, and other odds and ends in the water. Many scuba divers are protecting both people and animals by removing dangerous objects from the water near beaches. The deeper waters around the Caribbean islands have more than just some debris. They are also filled with sunken boats—and a lot of them. Many places have become boat graveyards. Diving to clear debris in these areas is not all fun and games. In fact, it can be dangerous and dirty. Tadzio Bervoets, avid diver and manager of the St. Maarten Nature Foundation, has been submerging himself in the murky, jellyfish-ridden water of the Saint Martin lagoon to find and clear new wrecks. 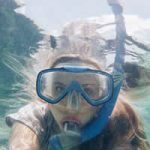 While the drudgery of diving in murky water is no fun, post-hurricane disaster relief diving can also include favorite dive sites. The reef areas affected by the hurricanes are full of marine life that is at risk from hurricane pollution. Scientists, environmentalists, and divers are working to study the effects of the hurricane, check common dive sites, and make sure the animals are OK.
Scuba divers are a huge part of the post-hurricane clean-up efforts! If you want to be a part of this process, contact island environmental agencies to see if you can help. If you can’t go, you can donate! 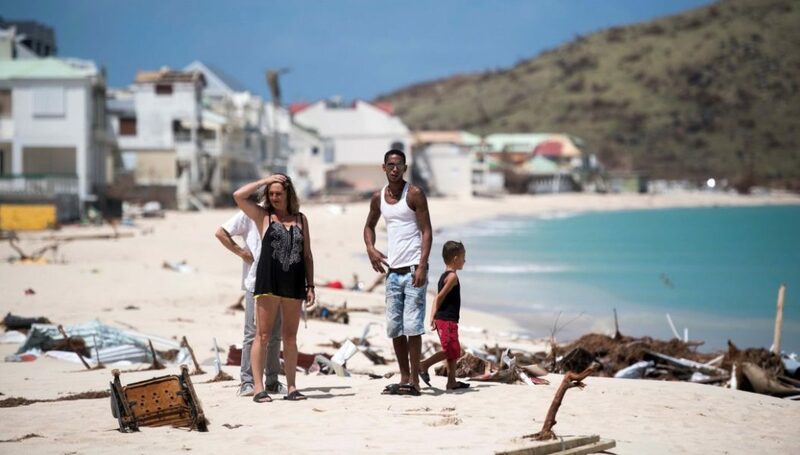 The St. Maarten Nature Foundation is a great organization to support as hurricane clean-up efforts continue.